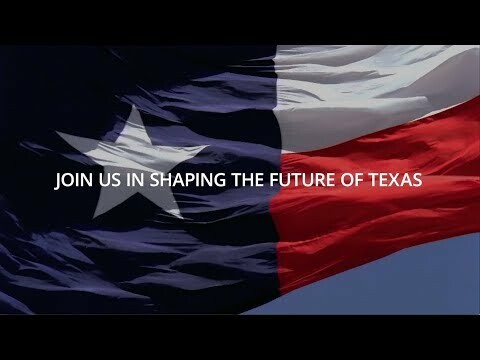 Texas 2036 empowers Texans and their government to make informed decisions using data and a long-term strategic plan to sustain Texas as the best place to live and do business through our state bicentennial and beyond. Where does Texas stand in student achievement? Texas 2036 highlights some key statistics and trends in statewide educational attainment. Texas 2036 summarizes public education enrollment in Texas. Texas has fostered a culture of bold, creative, and enduring people who have seized the opportunities this special land offers. To maintain Texas as the epicenter for opportunity, we must act now to sustain the unique qualities that have enabled our historic success. We invite you to visit often to inform yourself about the future of Texas as we offer continuously updated data, news, information, and planning to inform state public policy and action. Companies have thrived in Texas’ business friendly environment. For decades, Texas has offered abundant economic opportunity and an affordable quality of life. While the short-term outlook for Texas remains positive, storm clouds are gathering on the horizon. 65% of jobs will require a certificate or 2- or 4- year degree. Yet today, only 20.9% of Texas students do. Healthcare costs are rising, crowding out other funding, while poor outcomes persist. Infrastructure needs and costs are increasing while funding fails. 42% of water bodies do not meet water quality standards. directly impacting quality of life. In an age of increasing scale and complexity. 108 state contracts over $100M each with largest single contract over $16B. Enable Texans to make fact-driven decisions through accessible data, long-term strategic policy planning, and statewide engagement that ensures Texans’ wellbeing and economic prosperity. Texas is the leading state in which to live and do business in 2036 and beyond. We believe we can keep Texas on the right track by focusing on change in six key policy areas, tracking outcomes overtime, and holding policy makers accountable for future-oriented action. We need a large educated workforce to fill continued job growth that will lead to economic prosperity and quality of life. With data, we can overcome the focus on short-term partisan wins to include sustained wins over time with an eye toward accountability regardless of political affiliation. From primary to intensive care and physical to mental health, the wellbeing of all Texans is essential to stability and prosperity. In order to support continued growth, our infrastructure needs to keep in step. We must find the balance of sustaining our resources and leveraging new technologies while meeting our rising need for production. Texas faces a wide range of safety and justice issues stemming from diverse urban, rural and border populations. We know that systemic change requires a disciplined approach of incremental changes over short-term cycles that align to achieve long-term goals. It takes deep commitment sustained over time. We are currently working with experts on a Strategic Plan that is rooted in credible, actionable metrics for success.